They get credit for correcting the reporting error, but one can’t help but wondering why it was such a priority to look around for the MLK bust in the first place? President Trump returned the bust of Winston Churchill to the Oval Office, fulfilling a promise he made during the campaign. 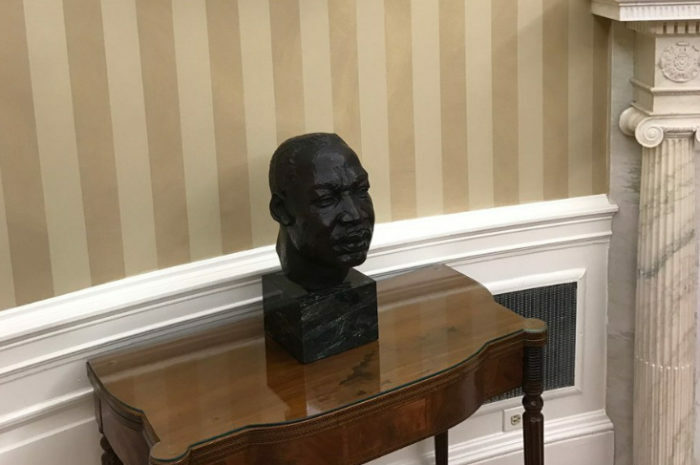 But the move set off a wave of speculation over what happened to the bust of Martin Luther King Jr. that President Obama had moved into the Oval Office to replace Winston.